There is no definition of require function available. If you load these files into the browser using script tag, it will simply fail. Does that mean we should write all the logic within one single file and never create modular code? 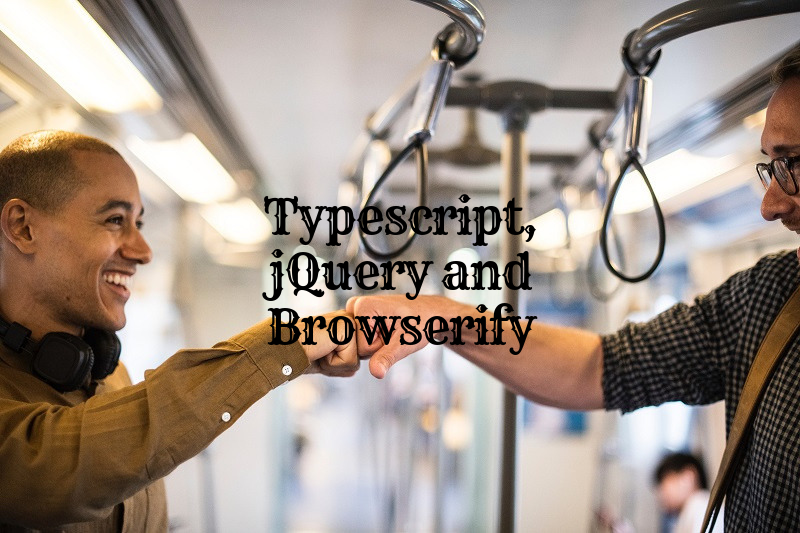 OR Typescript is not meant for applications targeting browser and it can only be executed in the server. These libraries fill the gap by providing features that are not present in the given environment. In our case, we need the ability to use require function in Browser. Note that the definition is required only at the time of development. We are using –save-dev flag to indicate the dependency is required only for development and not runtime. You will notice in the video, that we have created files dedicated to one single use. UserRepository.ts is responsible to interact with the REST API and return User details. index.ts is responsible to invoke API and render the data. If you go through, package.json file, you will realize that I have created a special script in scripts section. The command references index.js file which acts as a starting point for the application. Browserify will go through all the references in the file. It will then combine all the code into one single file named as bundle.js (check the -o argument). The final step is to include the script tag in index.html and refer to the bundle.js file. This was prettyhttps://github.com/carbonrider/tutorial_typescript simple example, but it will make you aware of the preliminary steps required to integrate third-party libraries. You can find the source code of this article at Github.